New Smyrna Beach appeals to many different age groups. It's a great place to relax, retire, or even participate in extreme sports like kite boarding. The small town ambiance attracts millions of visitors every year for vacation and relaxation. The ocean waters are well known for great fishing, surfing, boating, and many other water sports. It is also home to some of the best surf breaks in all of East Central Florida. 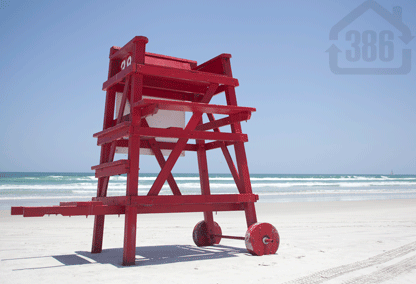 New Smyrna Beach is a great place to live, learn, work, and play all in the same day! Choose from many golf course communities in NSB or consider the beach life in New Smyrna Beach. Contact us today. Beachside homes, ocean front homes, and river front homes are all available in New Smyrna Beach. Are you looking for a home with the perfect water views? New Smyrna Beach offers breathtaking river and ocean homes for sale. Some properties present ocean and river views, while others only have a view of the ocean or river. Home rentals in New Smyrna Beach are available. Contact Kevin Kling for more home rental information.